Cut the potatoes into quarters, or uniform size pieces. Toss the potatoes and 2 Tbsp olive oil in a bowl. 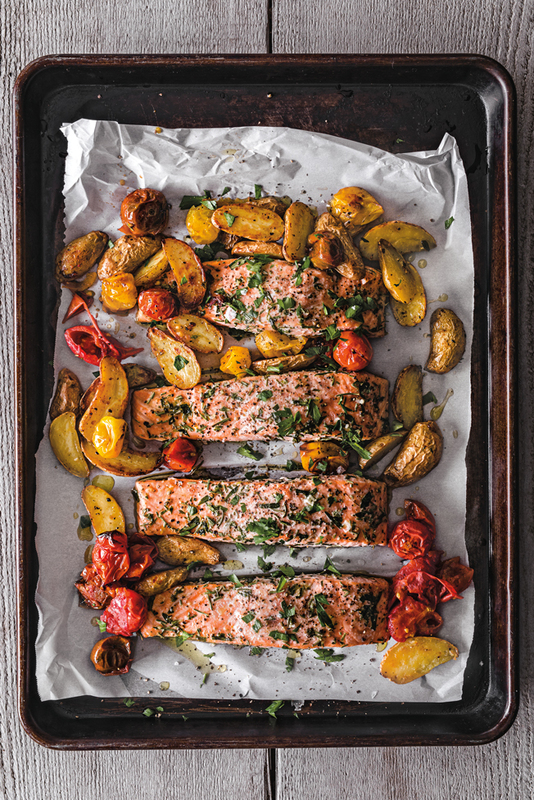 Place the potatoes cut side down on a prepared baking sheet & season with salt and pepper. Roast for 8 minutes, then stir.